The memory requirements of applications and games have increased dramatically over the years. The computer that put man on the moon in 1969, the so-called Apollo Guidance Computer (AGC), had approximately 64 KB of memory and operated at 0.043MHz. Today, you need at least a few GB of memory and a powerful processor with multiple cores just to read the news on the web. For more than a decade DDR3 RAM ruled the market. First introduced in 2007, this type of synchronous dynamic random-access memory (SDRAM) with a high bandwidth interface comes in several variants, including ECC memory with an extra data byte lane used for correcting minor errors and detecting major errors for better reliability. But the reign of DDR3 RAM is slowly but surely coming to an end as the demand for DDR4 RAM increases. “This cutting-edge memory is the foundation for the next-generation of devices. DDR4 enables developers to add more powerful processors to their hardware. For consumers, that means advanced computing capabilities on all platforms, whether it’s a smartphone, tablet or desktop computer,” explains Lenovo. Released to the market in 2014, DDR4 RAM introduces a number of benefits over DDR3 RAM, but they come at a price. In this article, we explain the main differences between DDR3 and DDR4 memory to help you decide whether DDR4 is really worth the upgrade. DDR4 RAM is not backward compatible with older generations of RAM because of major differences in its physical design. For starters, DDR4 has switched to a 288-pin interface, whereas DDR3 RAM uses a 240-pin interface. The extra pins increase the bandwidth capacity of DDR4 RAM. But you might not be able to tell that DDR4 RAM modules have 44 additional pins compared with DDR3 RAM modules because the pin-to-pin distance has been brought from 1.00 mm down to 0.85 mm. Bare DDR4 RAM modules have a height of 31.25 mm, as compared to DDR3’s 30.35 mm. 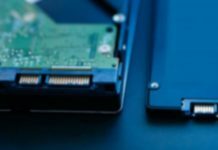 In practice, the less-than-a-millimeter difference in height means absolutely nothing because virtually all high-performance memory modules released in the last decade are equipped with a heatsink. A single DDR3 memory module can be only 8 GB large, but DDR4 memory modules have no such limitation. 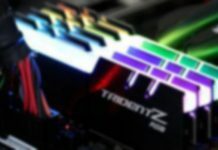 This makes DDR4 RAM perfect for video editing and other memory-intensive applications, giving you the option to add an absurdly large amount of RAM even to a fairly standard motherboard with just four memory slots. But perhaps the most important physical difference between DDR4 and DDR3 RAM is that DDR4 runs at only 1.2 volts, down from 1.5 volts. The relatively minor difference in voltage translates into around 15 saved watts for a typical system, and you can probably imagine just how much electricity can DDR4 RAM save massive server farms with thousands of individual memory modules. As you can see in the chart above, the transfer rate of DDR3 RAM starts at 0.80 GT/s and caps at a little over 2 GT/s. On the other hand, the transfer rate of DDR4 RAM starts at 2.13 GT/s and ends at over 4 GT/s. Unfortunately, the increased transfer rate comes with an increase in latency. A DDR3 RAM module operating at a latency of CL11 takes about 13.75 nanoseconds to initiate a read, but most DDR4 RAM modules operate at a latency of CL15 or CL16, so they take approximately 2 percent longer to initiate a read. What do these performance numbers mean in practice? A small but measurable performance gain in favor of DDR4 RAM when playing games and working with memory-intensive applications, such as Adobe Premiere CC, Autodesk 3ds Max, AutoCAD, or even Google Chrome. More importantly, DDR4 RAM is more stable because it operates at a lower voltage and applies it consistently to each individual memory chip. You probably won’t appreciate the improved stability when editing documents, watching movies, listening to music, or browsing the web. But you’ll definitely appreciate it when rendering video, compiling software, or even playing competitive games. • First, you can’t mix and match DDR4 and DDR3 memory modules. • Second, you can not use DDR4 memory with a motherboard with slots for DDR3 memory. Because the performance gains of DDR4 memory aren’t massive, it doesn’t make much sense to upgrade to it unless the rest of your system is ready for an upgrade as well. But if you’ve been itching to build a new computer, DDR4 memory is the way to go. Even though it’s been around for just a few years, it now costs almost the same as DDR3 memory. For example, the CORSAIR Vengeance LPX 8GB DDR4 memory module costs $59.99, while its DDR3 counterpart is just $10 cheaper. So, if you get two for a total of 16GB of DDR4 memory, you’ll pay only $20 extra, which isn’t bad at all considering the improved performance of DDR4 memory, its lower power consumption, and its future-proof design. DDR4 RAM improves virtually all aspects of DDR3 RAM. It has a much higher transfer rate, operates at a lower voltage, is more stable, and brings minor but measurable performance gains when working with memory-intensive applications. 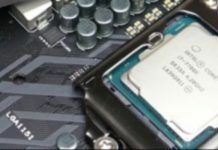 If you’re generally happy with your computer and could only just a few GB of extra RAM, there’s no need to throw away your current motherboard just so you can use DDR4 RAM. But if you’re building a new computer from scratch, DDR4 is the way to go. Just be sure to also get a fast SSD, so you can enjoy your fast memory without constantly running into bottlenecks caused by your slow storage device.